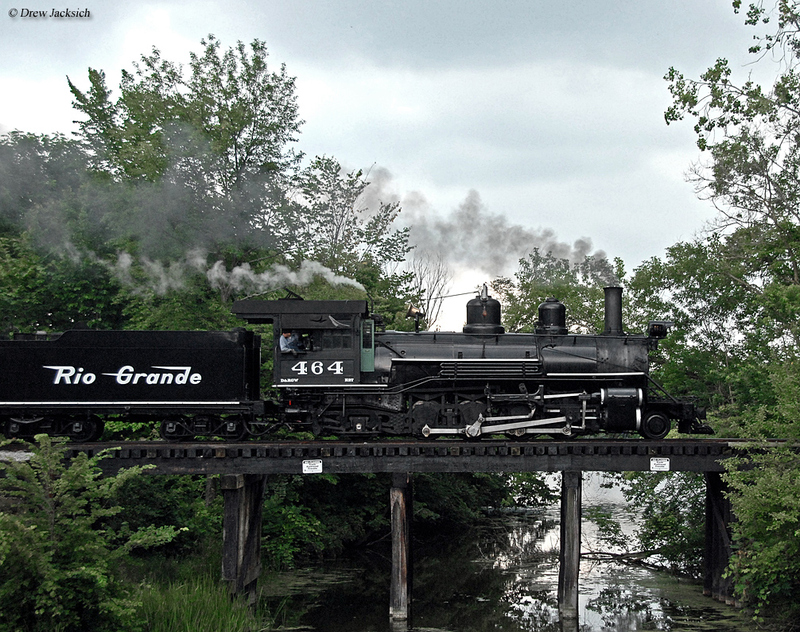 The Huckleberry Railroad, certainly one of the more interesting names of a tourist line, operates a short section of the former Pere Marquette Railway (which became part of the Chesapeake & Ohio Railway system in the 1940s) and departs its trips from Flint, Michigan. While the Huckleberry only operates a short stretch of railroad the real attraction to the line is its fine collection of steam locomotives. The Huckleberry Railroad was actually once a real freight line, as a subsidiary of the Pere Marquette and established in 1857, and was officially known as the Flint Pere Marquette Railroad Company (it also should be noted that the railroad received its name because of its slow pace, which was said to be so slow that one could jump off of the train, pick huckleberries, and jump back on with little effort!). Because they own a small yard and shop facility the railroad is able to keep maintenance and restoration projects mostly in-house instead of having to contract out such work. It is important to note that all of the railroad's locomotives are setup for narrow-gauge running since the line is laid in three-foot gauge. Additionally, the Huckleberry uses restored, antique coaches to host passengers for train rides. They also own a small collection of other equipment including an original motor car/speeder, two cabooses, and a hopper car. 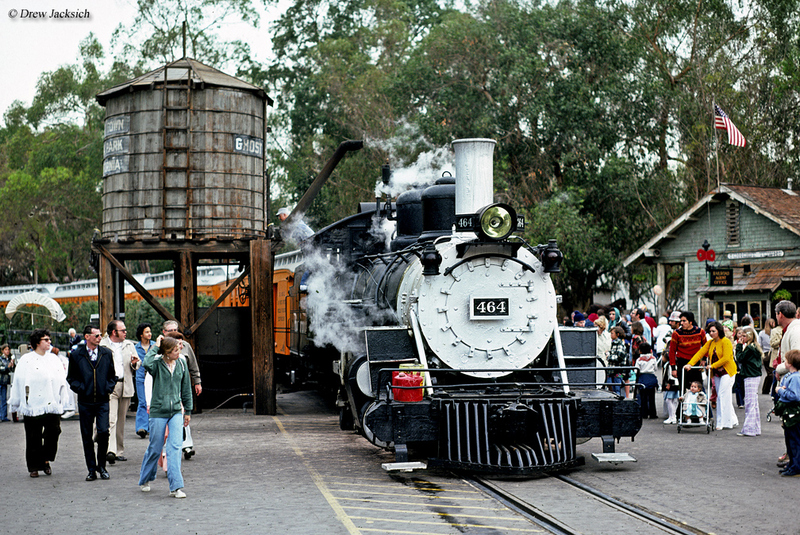 The Huckleberry Railroad's typical operating schedule runs between late May and early September each year. They also host special runs during the holidays as well as playing host to the very popular "Day Out With Thomas" the tank engine during the summer months. Typically, there are only a select handful of tourist railroads that host Thomas during the year so if you have kids and would like to see him the Huckleberry affords you that chance. They also host specials during the holidays such as the "Christmas at Crossroads" and "Halloween Ghost Train". Overall, it's rather surprising that such a small and relatively quiet excursion train offers visitors not only lots to do but also amazing and historic, operable steam locomotives. 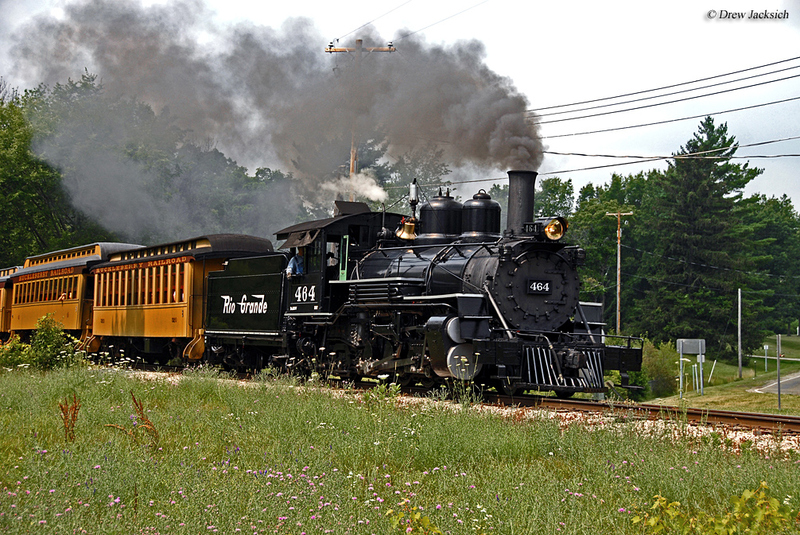 To learn more about the Huckleberry Railroad please click here to visit their website. There you can learn much more about everything the village and railroad have to offer, as well as print off a copy of their current brochure. Please be aware that there is also much more to do at the village than just ride the train such as camping, swimming, boat rides, racing, and walking trails. If you would like to learn more about the Pere Marquette Railway please click here for a brief history of the company. For more information about excursion trains like the Huckleberry Railroad you might want to consider the book Tourist Trains Guidebook, which is put together by the editors of Kalmbach Publishing's Trains magazine.